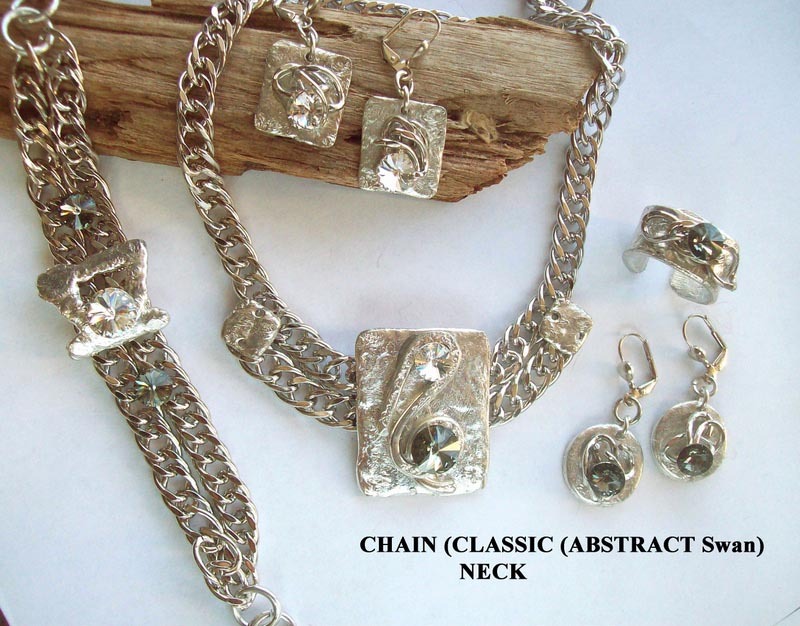 This product is a complete set which includes 5 total pieces of jewelry. The entire set can be purchased together or you may select individual pieces to purchase. To view an individual piece of jewelry, simply click on its name in the "This Set includes" section below. Categories: Complete Sets, Timeless Chain. Tags: Black, Diamond, Silver, Swarovski Crystals.